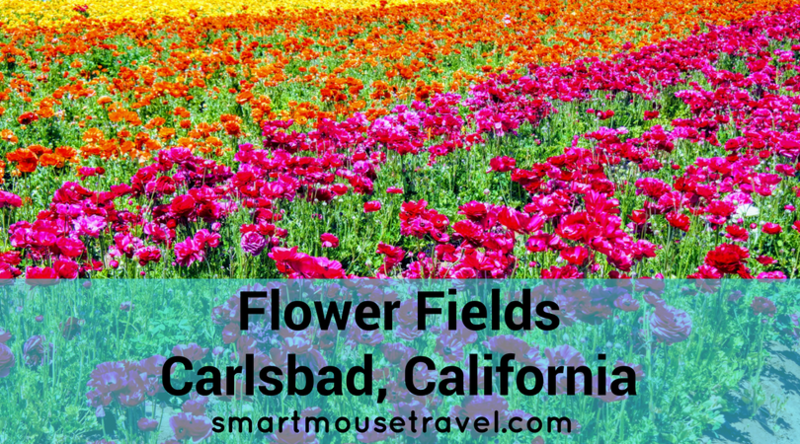 On our travel day from San Diego to Anaheim I wanted to find a unique roadside attraction, and the Flower Fields at Carlsbad Ranch fit the bill perfectly. 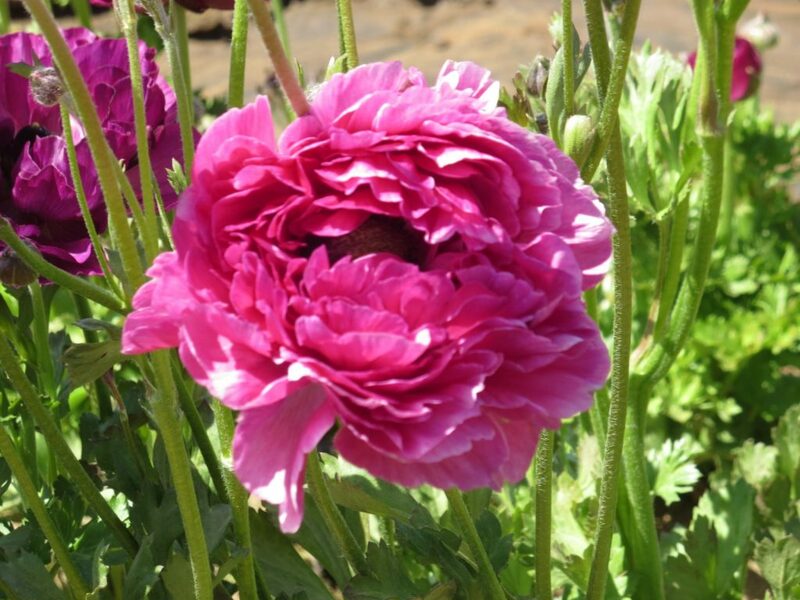 The Flower Fields are only open to the public seasonally (this year it is open March 1 through May 12, 2019) and boasts 50 acres of ranunculus blooms in an array of colors. Admission costs $16 per adult and $8 per child aged 3-10 years. 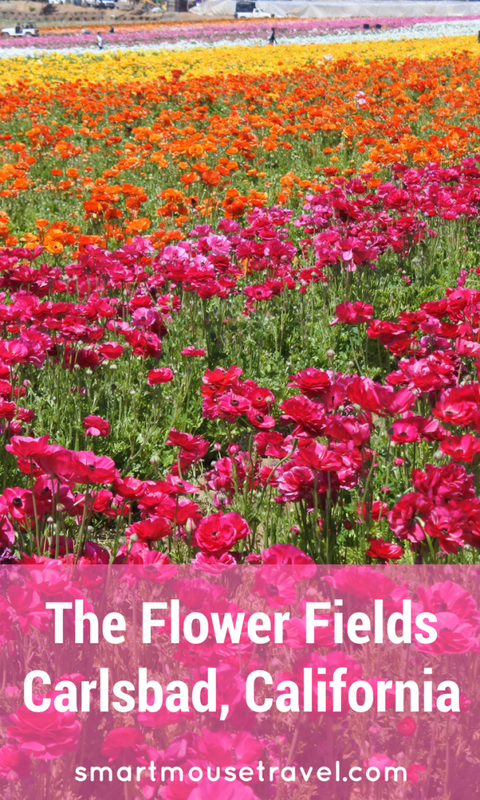 This fee allows you to roam the fields of blooming flowers, enter a maze of sweet peas that smells heavenly, visit the artist and rose gardens, learn about water-wise farming, burn some energy at Santa’s playground and check out the poinsettia greenhouse. For an extra $5 per adult and $3 per child you can ride in an antique wagon that drives you through the fields and hear the history of the farm. I was being cheap and opted not to buy passes for the wagon ride. In retrospect, that was dumb. The fields are deceptively large, and we were pretty darn tired after walking through only a portion. The fields offered a variety of spots where you can stop and take pictures. 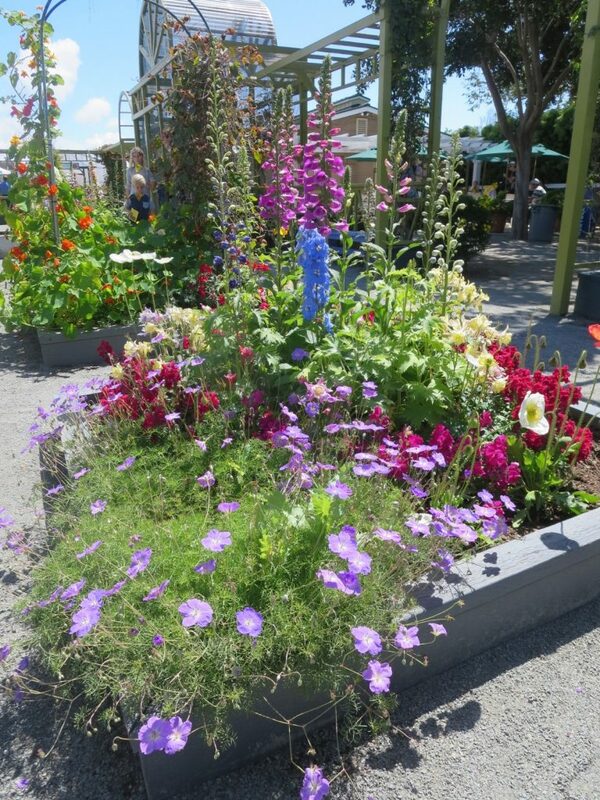 There are also benches along the path where you can stop and rest or just admire the blooms. Both Elizabeth and I got some great photos in the fields. 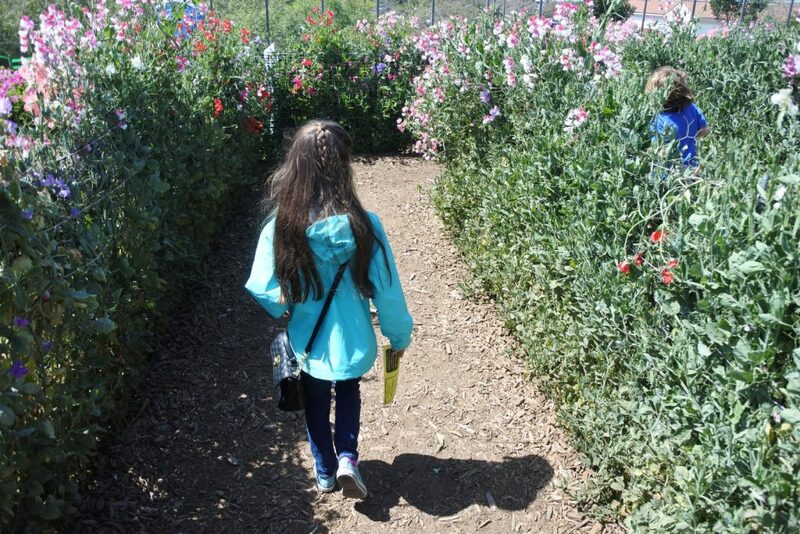 We also really enjoyed making our way through the sweet pea maze. 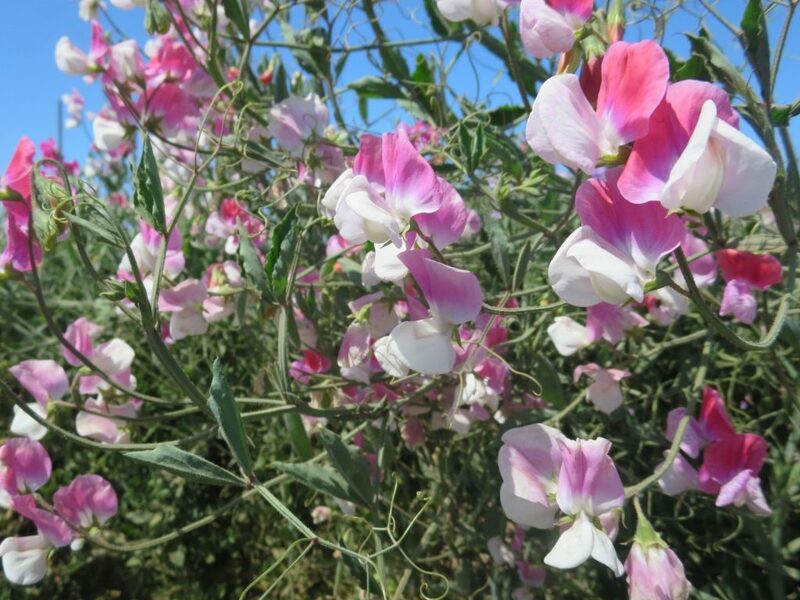 The smell was amazing as we walked around the maze looking at the variety of colors of sweet peas. I had no idea that sweet pea plants could grow to be so tall! The plants were growing up the maze barriers, and in many spots the plants were as high as my shoulders. 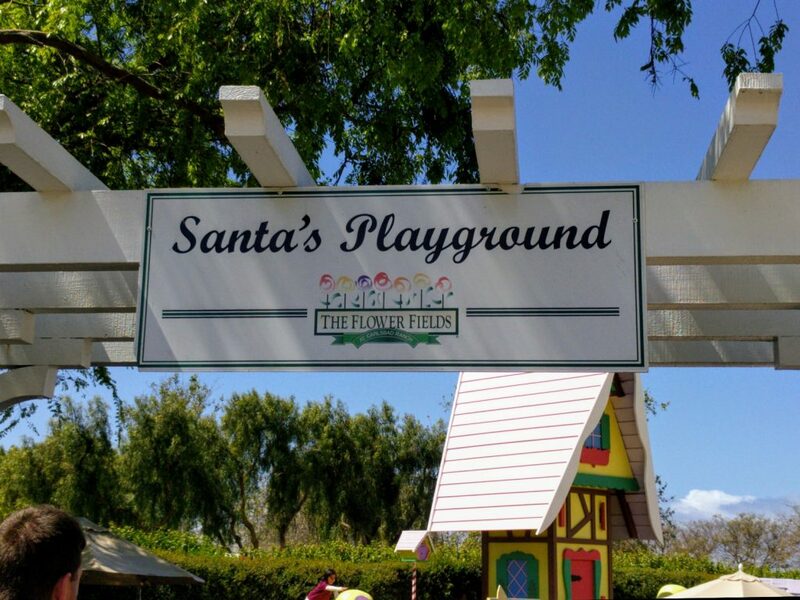 We skipped Santa’s Playground since I had already made Elizabeth walk through acres of field (and there were several school field trips running amok in that area). However, if your kids need to let off some steam there are several areas to climb and explore. Located right next to the playground was Sluice Mining. For $4 you could choose a bucket full of sand that had crystals or iron pyrite “gold” inside. 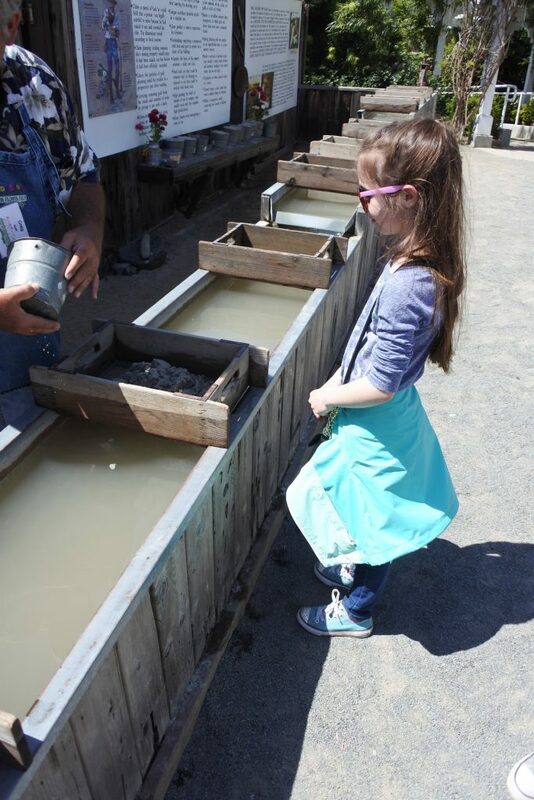 Once you choose your pail it gets dumped into the sieve pan and you place your “dirt” into the running water. Next you shake the pan back and forth until your treasure is revealed. Elizabeth ended up with some beautiful crystals. The staff helped us to identify each one and taught us about what properties each crystal is believed to have. For example, Elizabeth had a gold Tiger’s Eye which is supposed to impart self-confidence and good decision making to the owner. After mining for crystals we decided we really needed a fresh squeezed lemonade to reinvigorate us. Since the lemonade was freshly squeezed lemons, water, and sugar, Elizabeth got to have some, even with her food allergy! After we had our lemonade and rested in the shade briefly we saw our last two exhibits: the artist’s garden and the poinsettia display. The artist’s garden was a formal garden that included multiple flower types and some water features. Elizabeth really loved taking photos in this garden area. Lastly, we stopped by the poinsettia greenhouse. 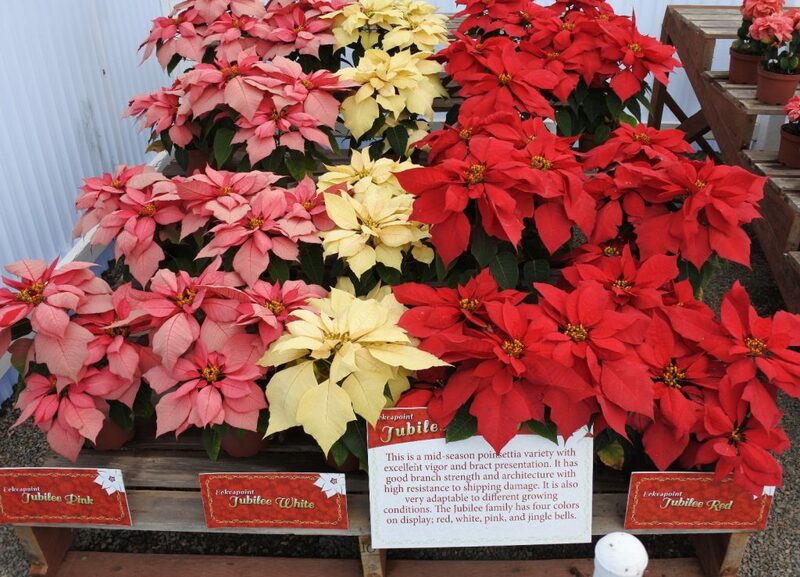 I had no idea how many varieties and colors of poinsettias are available! I really liked seeing the different types of poinsettias (although I think I am still a traditional Jubilee Red girl at heart). Overall, we got some really beautiful photos and learned a lot about flower farming. We ended up spending two hours here at the Flower Fields and we agreed that was just about the right amount of time to visit. Any less time and we would have missed exhibits. 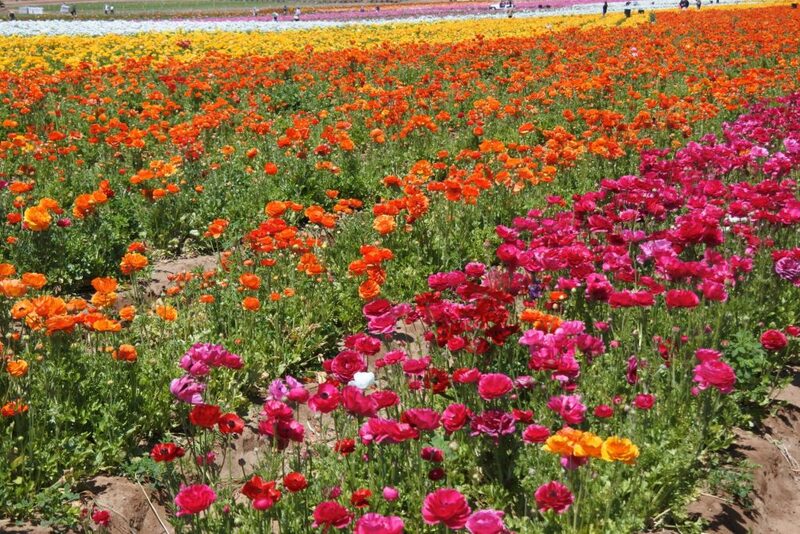 If you are in the Carlsbad area when the Flower Fields at Carlsbad Ranch are open and you love flowers or photography I think it is worth a visit. We’re so glad we went!